Once you have started your kids skiing, and want to buy new (or used) kids skis, you need to be sure you get the right length ski or snowboard for your fast growing son or daughter. The decision to buy, rent or lease skis for your child depends upon how many times you will ski this season. 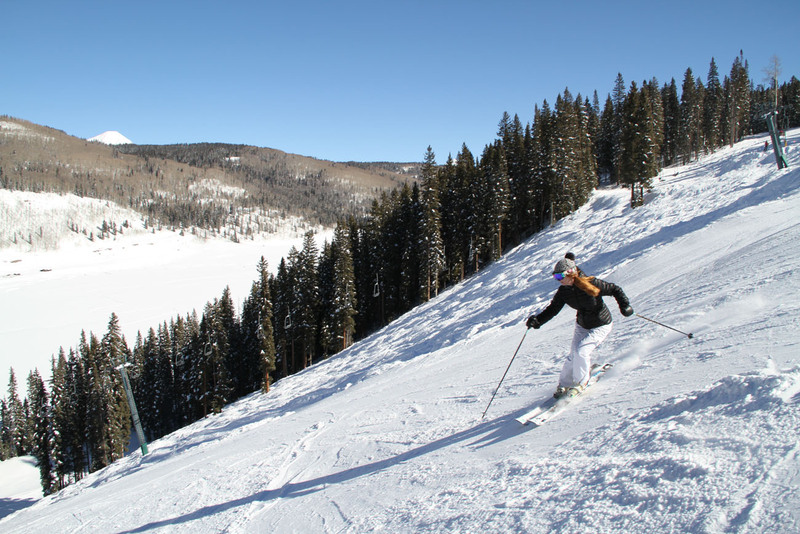 Kids grow fast and can grow out of their in one ski season. Here are tips on How to select the right length skis for your young skier. Once you have weighed whether to rent, lease or buy ski equipment for your kids, and you have decided you plan to ski enough as a family to invest in new kids ski equipment as a purchase, you need to find the right length ski. Too many parents try to get several season out of a pair of ski boots, or kids skis, starting by buying skis to long, and then keeping them for that extra ski season when the skis are clearly too short for their kid who has improved beyond the baby skis with teddy bear graphics. Kids ski length should be calculated is by using the child’s height and weight and ability level. Most skis are measured in centimeters, and the ski manufacturer indicates the weight allowance for the ski binding, your ski shop rep should know. Kids weighing between 40- 50 pounds should be on a ski that is about 90 centimeters. If the child weighs 60 pounds, he or she should be on a 100 centimeter ski basically, So for every additional 10 pounds, go up 10 centimeters. A great test for proper ski length for kids is standing the ski up next to your child, its a classic. Today’s shaped skis should come between your child’s nose to chin area, longer for more advanced kids, shorter for more beginner and intermediate skiers. As mom, I would just add make sure your daughter isn’t wearing clogs or boots with a 2 1/2 inch heel when doing this ski measurement… our daughter’s skis were surprisingly long that season, but she grew into them perfectly the following ski season and could turn them and ski with more control then too. 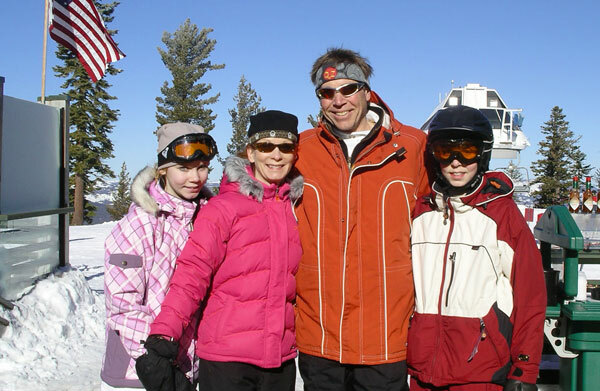 See our Top Kids Ski Reviews and our Review on Ski Boots that grow with your kids.